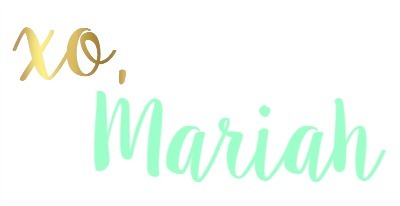 I'm finally getting around to sharing my fall bucket list! I'm sure there are plenty more things I could have added, but these were the main things I know I want to enjoy this season. I have already crossed a few of these off! Our apple picking adventure was on the blog a while back and I shared a picture of my homemade fall wreath here. I may not get all of the things on this list crossed off, but I hope to do a good majority of them! Lucy is finally reaching an age where she actually enjoys outings and experiences, so I love to live up the holidays as much as possible with her! 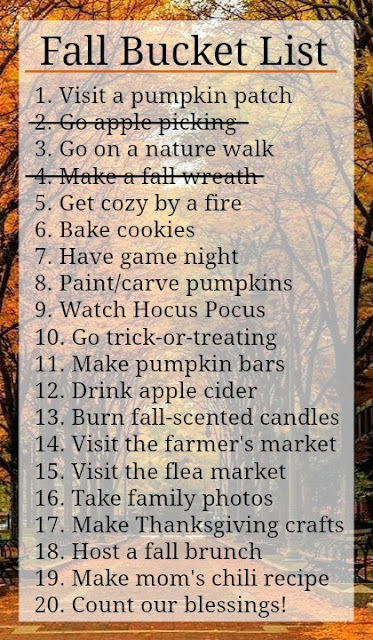 What are some things on your bucket list for fall?